The Canadian Young Farmers’ Forum (CYFF) is committed to protecting the privacy of the personal information of its employees, volunteers, members, clients, donors and other stakeholders. CYFF is a not-for-profit organization with a volunteer board of directors and professional staff whose purpose is to provide multi-faceted educational and development opportunities for young and beginning farmers from across Canada. During the course of our various projects, programs and activities, CYFF frequently gathers and uses personal information. Anyone from whom we collect such information should expect that it will be carefully protected and that any use of, or other dealing with, this information is subject to consent. CYFF’s website uses persistent cookies within visiting browsers to enable the functions of the website and for tracking performance. Specifically, cookies are used to preserve and expire visitor sessions on the site, store preferences, and enable web analytic tools to track performance. Cookies are used anonymously and without storing personally identifiable Information. Visitors that wish to opt-out of cookies should review the help documentation for their browser software to decline or selectively decline them. Note that declining cookies may adversely impact site performance. An individual’s express consent will be obtained before or at the time of collecting personal information, except as permitted under PIPEDA. The purposes for the collection, use or disclosure of the personal information will be provided to the individual at the time of seeking his or her consent. Once consent is obtained from the individual to use his or her information for those purposes, CYFF has the individual’s implied consent to collect or receive any supplementary information that is necessary to fulfil the same purposes. Express consent will also be obtained if, or when, a new purpose is identified, unless the new purpose is required by law. An individual may withdraw consent at any time, subject to legal or contractual restrictions and reasonable notice. CYFF will inform the individual of the implications of such withdrawal. Personal information will be used for only those purposes to which the individual has consented except as permitted under PIPEDA. 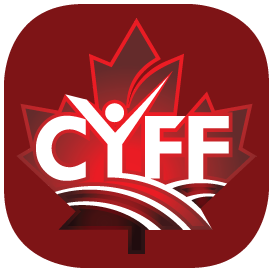 Personal information will be disclosed to those CYFF employees, CYFF contracted employees and members of CYFF Board of Directors that need to know the information for the purposes of their work. Personal information will be disclosed to third parties only with the individual’s knowledge and consent, except as permitted by PIPEDA. Any personal information disclosed to a third party will be subject to this policy and CYFF will use appropriate contractual or other means to protect personal information at a level comparable to this policy. Personal information will be retained only as long as necessary to fulfill the purposes for which it was collected. If personal information is used to make a decision about an individual, it will be retained long enough to allow the individual access to the information after the decision is made. Personal information that is no longer required to fulfil the identified purposes will be destroyed, erased or made anonymous. Notwithstanding the foregoing, personal information will be retained for such other periods of time as required by applicable laws and regulations. CYFF endeavors to ensure that any personal information provided by the individual in his or her active file(s) is accurate, current and complete as is necessary to fulfill the purposes for which the information has been collected, used, retained and disclosed. Individuals are requested to notify CYFF of any change in personal or business information. Information contained in inactive files is not updated. CYFF will use physical, organizational and technological measures to safeguard personal information. CYFF employees, contracted employees and members of the Board of Directors are required to sign a confidentiality agreement binding them to maintaining the confidentiality of all personal information to which they have access. An individual who wishes to review or verify what personal information is held by CYFF, or to whom the information has been disclosed as permitted by PIPEDA, may make the request for access, in writing, to the CYFF’s General Manager. Upon verification of the individual’s identity, the General Manager will respond within 60 days. If the individual finds that the information held by CYFF is inaccurate or incomplete, upon the individual providing documentary evidence to verify the correct information, CYFF will make the required changes to the individual’s active file(s) promptly. On receiving a complaint regarding the collection, use or disclosure of personal information by CYFF, CYFF’s General Manager will promptly investigate the complaint and notify you about the findings and corrective actions taken, if any. If a complaint is found to be justified, CYFF will take appropriate measures, including, if necessary, amending its policies and practices. A quick hands-on educational reference tool for Canadian young farmers.